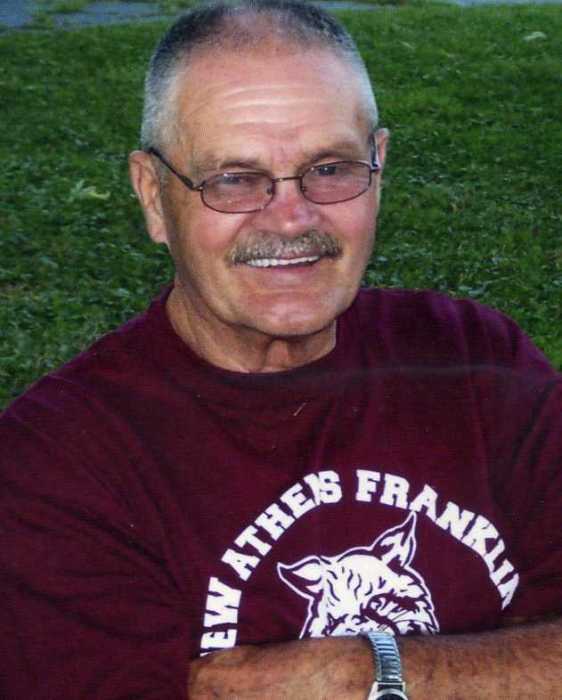 Ronald D. Carter, 80, of Harrisville, Ohio, passed Tuesday July 17, 2018 at home surrounded by his loving family. He was born in Adena, Ohio, on May 12, 1938, a son of the late Harold W. Carter and Sarah Edith Childers Carter. Ron was retired from the Village of Harrisville and Y&O Nelms #2 mine, he was a proud member of the Harrisville VFD and a very active member of the Harrisville United Methodist Church. Ron is survived by his loving wife of 58 years, Janet Smith Carter, a daughter Penny L. (David) Watson of New Athens, OH, brothers: Orval “Ace” (Clara) Carter of St. Clairsville, OH, Richard “Butch” (Grace) Carter of Cadiz, OH, David (Donna) Carter of Scio, OH; sisters: Mary Alice Crothers of New Athens, Dorothy Utter of Harrisville, Shirley Oszust of Uhrichsville, OH, Virginia Fonner of Bethlehem, WV, Nancy (Kenny) Joseph of Bethlehem, WV, Judy (Eugene) Roberts of New Athens; two grandsons Derek L. Watson and Devin C. Watson. Friends will be received Thursday from 2 to 8 p.m. at Borkoski Funeral Home, 555 East Market Street, Cadiz, Ohio 43907. Visitation will continue Friday July 20, 2018 from 10:00 a.m. until the time of service at 11:00 a.m. at the Harrisville United Methodist Church, Harrisville, with Rev. Drew McPeek and Rev. Ken Staley officiating. Interment will follow at Holly Memorial Gardens, Pleasant Grove. The family would like to express a special thank you to the caring staff at Valley Hospice and to Ruth and Tonya Utter for their special support. Memorial contributions may be made to: Harrisville Vol. Fire Department or Harrisville United Methodist Church, or Valley Hospice, Rayland, Ohio. Offer online condolences to the family at www.borkoskifuneral.com.